Judy spoke to World Treasures Music about the reissue of her album, In Togetherness, featuring 33 1/3. It’s a modern soul gem with several dancefloor focused cuts, now rescued from rarity. It has been championed before by the likes of supreme disco digger, DJ Red Greg, and is soon to be available to mere mortals like us. WTM – What’s inspired you to reissue your music? “That calls for a two-pronged answer. First, my wonderful fans. They’ve been asking for a reissue of the album and so have recording houses. Secondly, my charity, Sir Snowy Projects, which is dedicated to helping kids and adults with special needs improve the quality of their lives via animal-assisted therapy and to help abandoned, abused and disabled kitties get a chance at happiness and a forever home. WTM – What fond memories do you have of making the music first time around? WTM – What’s your story in relation to getting into music? WTM – What have you been doing since that time? WTM – What music has inspired you or do you listen to? WTM – How have you found this process of reissuing your music? WTM – What venues or nightclubs did you use to perform at? WTM – Did you enjoy working in the studio? WTM – What part of the album are you most proud of? “That’s a hard question because each song has a special significance to me personally. I would say I’m proud of them all. “At the time of the album, race relationships were not at their best in the United States. There was still a black/white community and you didn’t cross the lines. “My album cover was considered scandalous because we were touching hands or the guys had a hand on my shoulder. I was told if I didn’t change the album cover it would never sell. Well, I wasn’t about to change the cover, we worked hard together and the guys deserved to be on the cover as well. Follow Judy’s Sir Snowy Projects on Instagram and Facebook. WTM – When will In Togetherness. be available to us again? “The CD of the album will be released from P-VINE in Japan on 17th of October. Worldwide distribution of the CD release date is to be announced, but should be around the same date as P-Vine and in time for the holidays. WTM – Thanks Judy and keep on doing what you’re doing, in music and with your important charity work. Will keep updated. 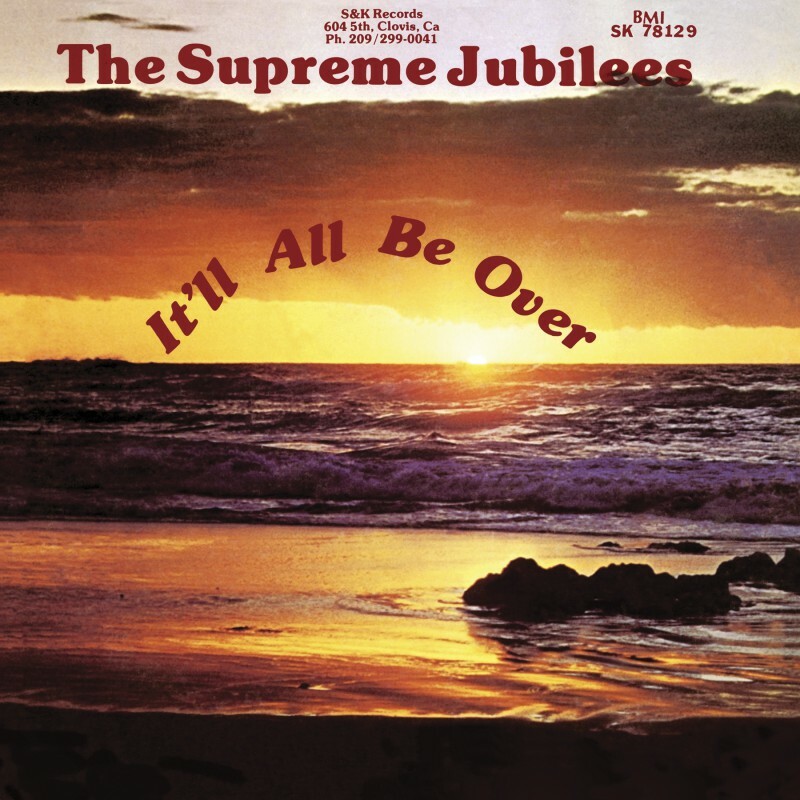 World Treasures Music spoke to Leonard Saunders, band member of The Supreme Jubilees, who released their masterpiece It’ll All Be Over in 1980. It has now been lovingly reissued by Light In The Attic Records. Their sound is unique, beautifully produced and stir right to the depths of the soul. Their songs cover life and death, spirituality and the big questions. The Supreme Jubilees were a band of brothers and cousins. 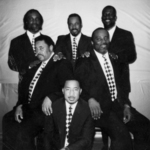 The group was founded from two families: brothers Joe and Dave Kingsby plus Dave’s son David Kingsby Jr. – along with keyboardist Leonard Sanders plus his brothers Phillips (drummer), Tim (bassist), and Melvin (tenor). The Sanders clan grew up singing together in The Witness Of Jesus Christ Church in Fresno, California, where father Marion was pastor. Guitarist Larry Price – who belonged to neither family – completed the line-up that recorded the group’s first and only album, It’ll All Be Over. Sessions began in Trac Record Company, a country and western studio in Fresno, where the engineer was angered by the group’s requests for heavier bass in the mix. The engineer stopped the session and kicked them out. They left with four songs–one side of the album–and the record was completed at Sierra Recording Studio in Visalia, California. 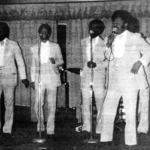 After the LP was pressed, the group toured first in California – performing with the Gospel Keynotes, The Jackson Southernaires, and the Mighty Clouds of Joy. 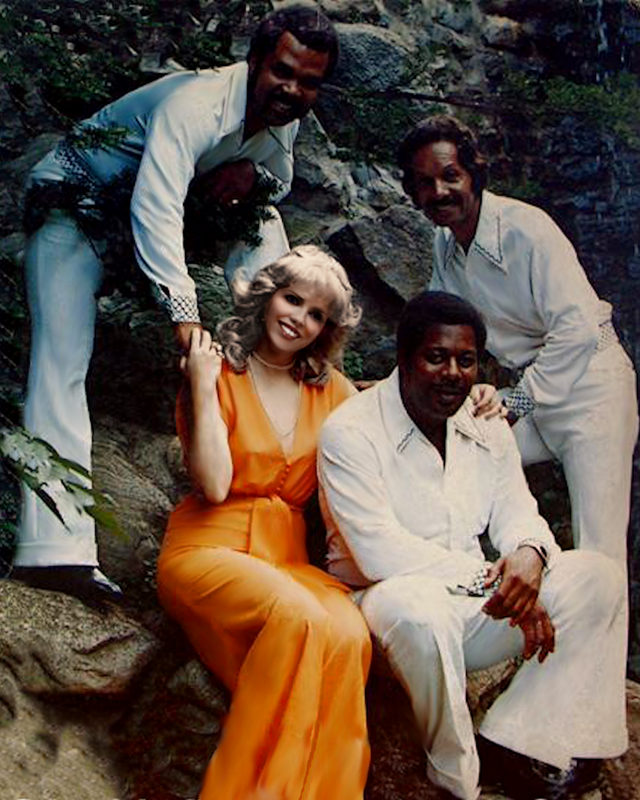 The group split while touring Texas before a 1981 follow-up album could be recorded. WTM – Your sound is different from other gospel groups of the time, how do you think that came to be so? 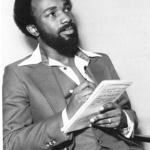 When I was ten-years-old or so, I used to listen to the radio all night with the radio to my ear to such artists as Donny Hathaway, Aretha, The O’Jays, etc, and I think that R & B influenced me most. Since I was not allowed to play secular music, gospel became my outlet. WTM – What music influenced you? Do you have any favourite music? 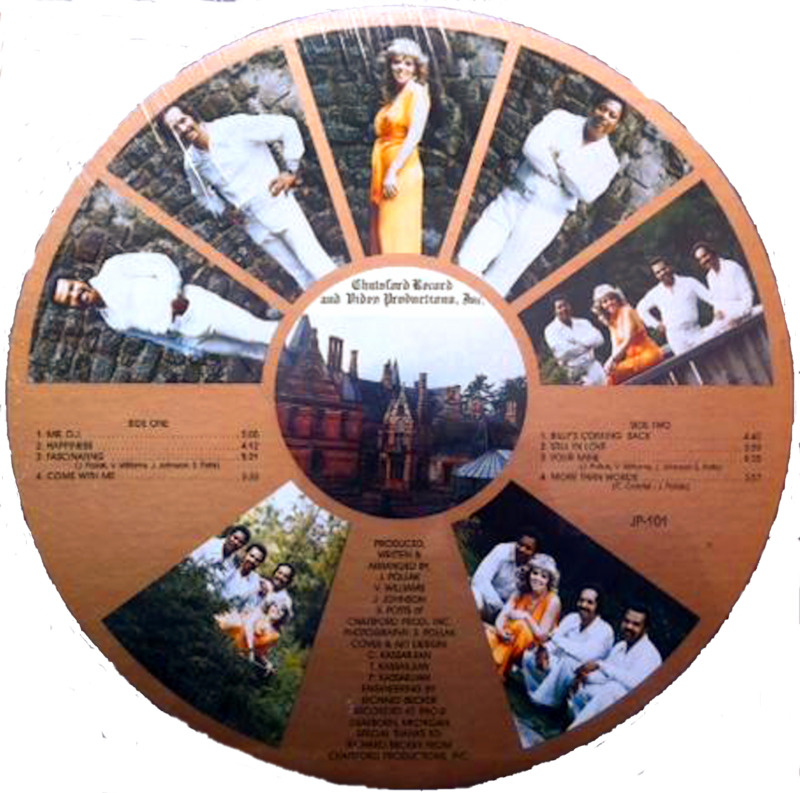 I am a huge R & B fan and some of the influences were The Gap Band, Tower of Power, The Time, Teddy Pendergrass, Marvin Gaye, Tyrice, The Emotions, Earth Wind & Fire, Chaka Kahn. WTM – Who are your favourite gospel music artists? The Winans, Kim Burrell, Commissioned, Kirk Franklin and The Thompson Community Choir are some of the gospel artists I listened to. WTM – Which artists influenced the keyboard playing on your album? Joe Sample, Donny Hathaway, Bob James, Alex Bugnon are a few keyboard influences. WTM – Your vocal talents and musicianship are of such a high standard, did you never get tempted to pursue the music business further? Did you get any opportunities outside of producing the LP? I have always wanted to pursue music, but I can hardly stand to hear myself sing, my personal opinion is that there are so many other singers that have what I don’t have. I have recorded some secular songs some original and cover songs just to see how it compares. I have a couple of other projects that I have recorded since the LP. Of course I had a mortgage and a wife in 1980 so that’s that. WTM – What were your jobs outside of music at the time? I worked for the IRS, 36 years, now retired, the other group members were bus drivers, cooks and handymen. WTM – What were the audiences like at your gigs? The audiences we played for were not sure how to take us because our sound was so different, a better word would be amazed. I would say that we were a gospel group doing R & B.
WTM – The album nearly didn’t happen after creative tensions on the studio between yourself and the original studio engineer nearly boiled over. What happened after falling out with the engineer in 1979? How did this make you feel? After the engineer threw us out [of the studio] I was in shock, I never experienced anything like that before. I was not all for going there in the first place. We were able to find another studio to finish the project. WTM – What are the key elements of recording great gospel music? You have to believe that you are delivering a message from God. WTM – Did being family help or hinder you as a band? Family played an important part in sustaining the group in regards to finance (Mom and Dad). My brothers and I were single. My cousins were married and their wives wanted to tag along which destroyed the group. WTM – Why did you release under S & K Records? Were there any others in line to release your work? S & K was a name we came up with so we could look professional. There was no official label. No other labels made any offers. WTM – What was touring like? What are the most vivid memories of? We toured California from San Diego to Oakland. [It was a] very good tour for the group, we were able to make a name in the industry. We were being compared to the Mighty Clouds Of Joy. We got a date with them in Austin, Texas. Our business management sucked and when we got to the gig the promoter promised us $500 but only gave us $200. That ultimately broke up the group. I remember the van overheating in the desert. WTM – Collector David Haffner (Friends of Sound) tracked down the Kingsby-Sanders clan at a Fourth Of July barbecue in Fresno in 2004 and introduced the group to Light In The Attic. How did it feel to meet David Haffner and Light In The Attic Records? Meeting Dave Haffner was interesting, we were not sure what the interest was. Meeting Light in the Attic was breath of fresh air, unbelievable. All images courtesy of Light In The Attic. WTM – Thanks to Will Lawrence, LITA and Leonard Saunders. Eugene, Eugene… The great Reverend McDaniels talking about the sins of his countrymen.